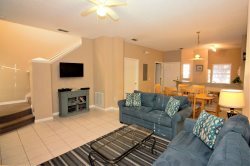 Oakwater Plantation Vacation Home is just off HWY192, less than 2 miles from Disney's doorstep in Kissimmee, Florida and is perfectly placed for the shops, restaurants, fun and attractions that Orlando has to offer. With 3 bedrooms and 2.5 bathrooms, this fully air-conditioned, family friendly vacation home is perfect for families or for a few friends golfing or vacationing. This Vacation Home has a spacious family room to relax in during the day or evening, with a luxurious queen leather sofas, flat screen cable TV, and DVD player to enjoy your favorite movie. There is even more fun and entertainment with the foosball table just behind the sofa, you won't want to leave! Step out from the family room into the spacious Dining room while enjoying a great meal prepared in your own fully equipped kitchen. Plenty of seating for everyone with a huge dining table with 8 beautiful seats, 3 stools at the counter bar. The room is open to the kitchen nook which is set up with some nice reading chairs and a computer desk. The kitchen has been equipped with everything that you could need to provide a family feast to enjoy together. Luxurious sleeping accommodation awaits you when you stay at Oakwater Plantation Vacation home with 3 bright and roomy bedrooms, all with TV's. The master bedroom has a king sized bed and a flat screen tv. It opens onto an attached ensuite bath with a big shower and gorgeous vanity.One bedroom has a queen bed and the other has two single beds and they share a hall bath with tub and shower. 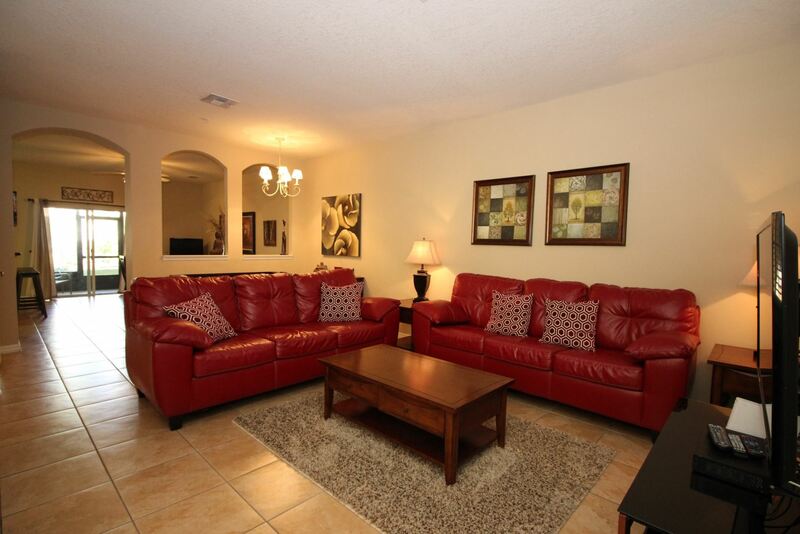 4 TV's, DVD, Foosball Table, Wireless Internet,Long distance within North America included!